Preheat oven to 220°C (425°F). Place the chicken wings, vinegar, sugar and salt in a baking dish and toss to combine. Roast for 40–45 minutes or until golden. Place the sour cream, chives, lemon juice and zest, and paprika in a bowl and mix until well combined. 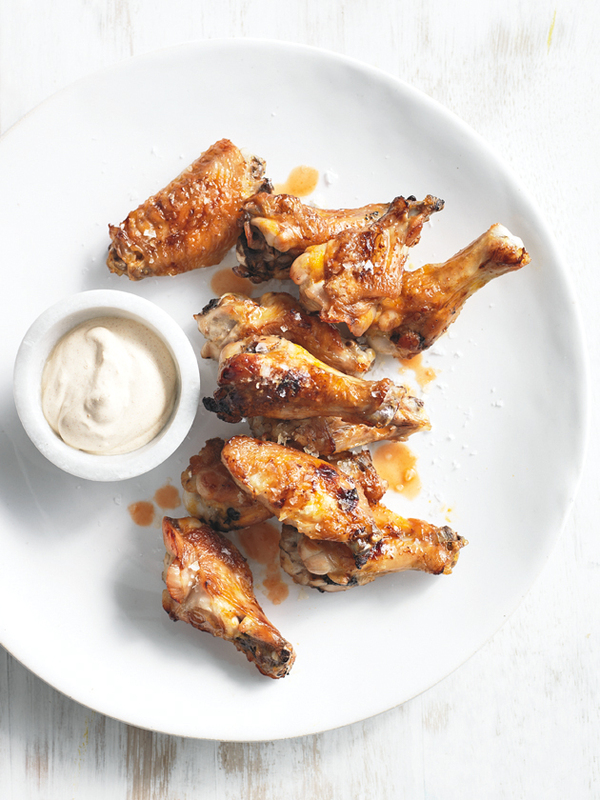 Serve chicken wings with the sour cream dressing. Serves 4–6.